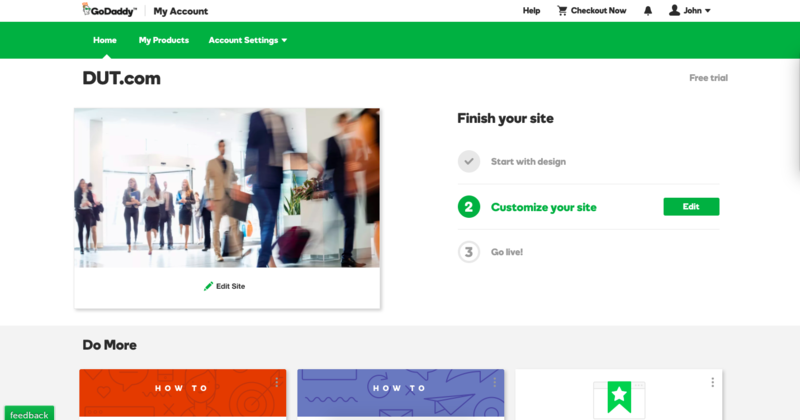 By welcoming users to their new home page, rather than just their domain name, GoDaddy helps drives users to their core value faster—building on online presence. 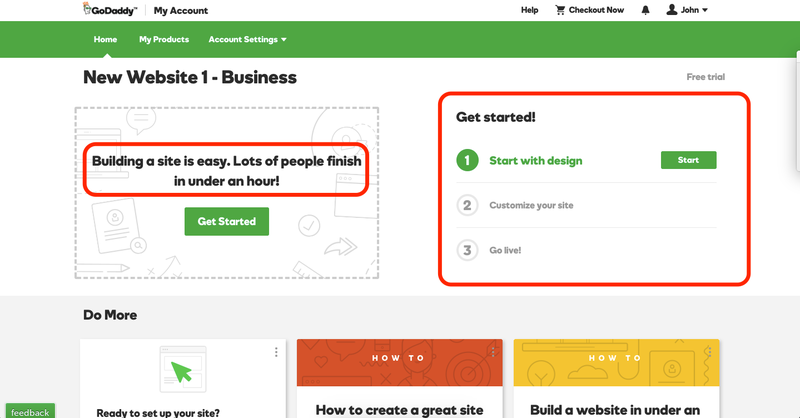 By emphasizing how quick and easy setting up your site is (“Lots of people finish in under an hour”), the copy in Step 1 encourages users to take immediate action, rather than putting off building a website for later. 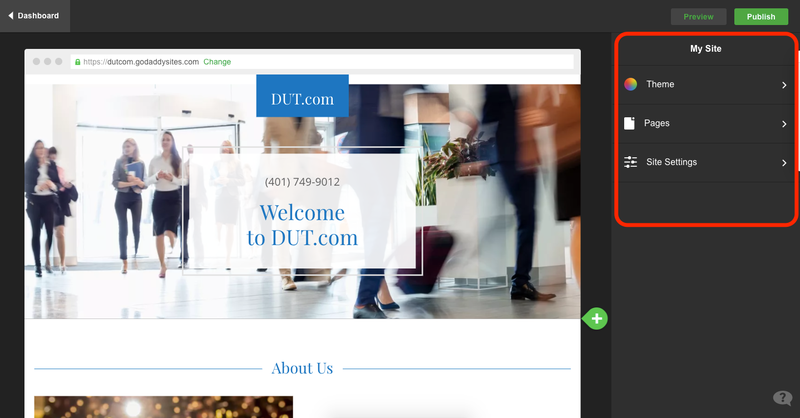 When users choose the topic of their website, the background changes in real time with relevant images. 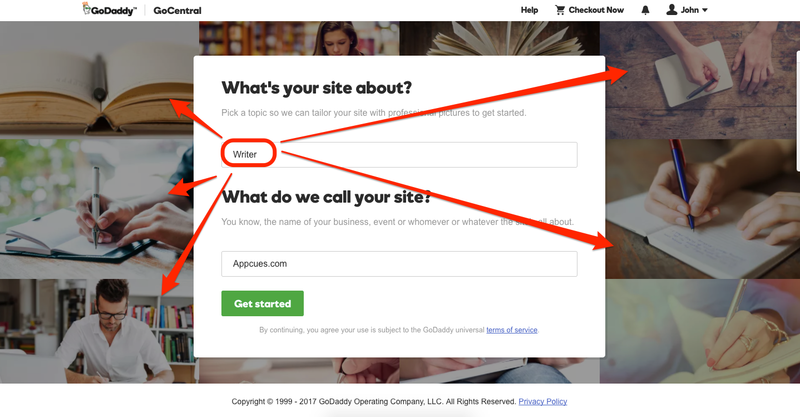 This boosts the user's confidence in the success of the endeavor and adds an extra layer of assurance that the process will be easy. 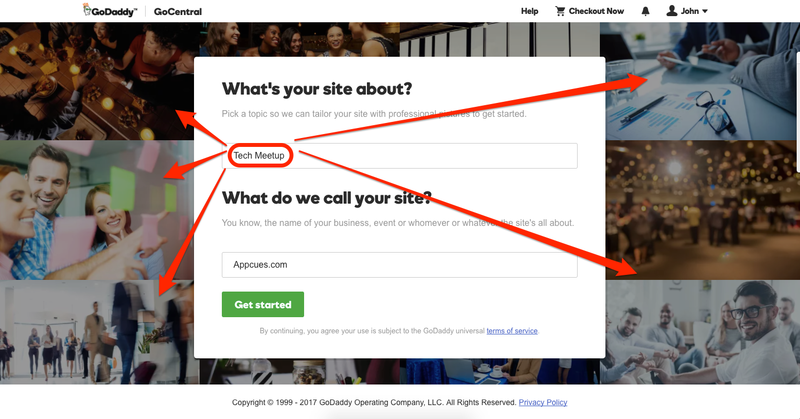 The website editor is just as easy and straightforward to use as the site setup guide. 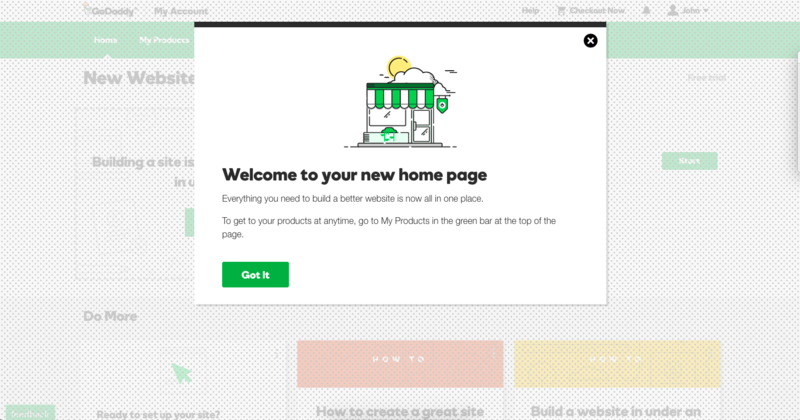 Users can easily edit their site's theme, pages, and general settings from the same window.